R.J. Sullivan's Commanding the Red Lotus Blog Tour! Today I'm delighted to welcome RJ Sullivan to my blog, author of the Red Lotus stories. The books are fascinating, of course. But RJ is here today to tell about those often-skipped, hugely important lines that come before the story... the novel's dedication. So... over to you RJ, and I for one am very much looking forward to what you will tell. If other authors are like me, behind every dedication is its own story. Here is the story about the one in Commanding the Red Lotus. Understand as you read that I am reflecting back over thirty years and through rose-tinted glasses. I was also a kid, and as such, not privy to all the details of extended family politics. So I’ll start by saying this is the best that I can recall and I may have it wrong. The worst that may happen is, that after this is published, my cell phone will ring with some honked off family members on the other side, which is strictly my problem. Enjoy. My father, Robert Alton Sullivan, was career U.S. Navy, and finished the last couple years of twenty years of service at Ft. Harrison, Indiana, teaching journalism classes. The Sullivans were an extraordinarily large clan of Irish decent that had taken over several blocks of a neighborhood in Holyoke, Mass. I later learned that my mother made extraordinary efforts to lay down family roots in Indiana while I grew up to later justify not returning to Holyoke after my father retired from the Navy and started his second career in public relations. As a result, several summer vacations involved traveling north to Massachusetts so Dad could touch base with his six brothers and the expansive nieces, nephews, cousins, aunts, uncles, second cousins, and all the etceteras that all lived within several blocks driving distance of each other. The familial closeness (read gossipy nosy-ness) was something my mother didn’t want my brother and I drawn into. Dad’s only sister, my “Aunt Dolly”, had also “escaped” beyond the familial borders and married my “Uncle Mick” and they resided in Pennsylvania. Mick and Dolly’s home was a convenient halfway point on the drive to Massachusetts, and so, during these summer vacation trips, we’d stay overnight coming and going to family reunions. The typical Sullivan mentality tended toward practicality in life as well as in play. Sullivans love their card games and those who were readers loved murder mysteries and contemporary fiction. I, however, grew up with Star Trek reruns on extraordinarily high rotation and with Star Wars becoming a movie phenomenon when I was age 9. 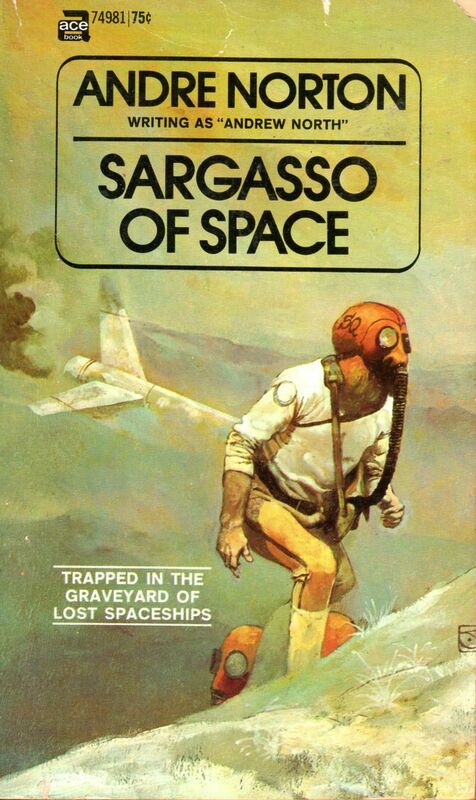 So as a middle-schooler, I gravitated toward Star Trek and other media tie-in books such as Space: 1999. 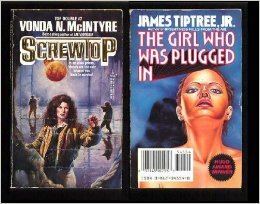 And while my parents did not turn such programs off or discourage me from reading this apparently endless stream of paperbacks, it was clearly an indulgence they assumed I would grow out of. I could also buy those Spider-man comic books, as long as I didn’t read too many, and balanced those with books without pictures. Star Trek novels didn’t have pictures, so I was good here. Taken all together, along with reruns of Adam West’s Batman and new shows such as the Six Million Dollar Man and Wonder Woman making a splash I quietly started laying the foundation for a lifelong interest in media SF and fantasy. My Uncle Mick, not being a blood relative, was an oddball amongst the Sullivans. He was an avid reader, and he worked for IBM in the early days of computing. He also worked at a used bookstore on the weekends, and personally had a huge library of mysteries, westerns, and other contemporary paperbacks. He kept Mom supplied with stacks of Agatha Christie cozy mysteries, so Uncle Mick was aces in her eyes. He was also a huge SF fan, knowledgeable of the classics of the genre. And I didn’t know it, but he had been watching my steady devouring of the modern media books with some interest and maybe some concern. During one of our visits, I’m guessing I was 14-ish, he came up as I was reading a photonovel (Google it, kids) in which Mr. Spock was shooting his phaser at the 15-foot caveman. He said to me, “Bobby, it’s time to take your science fiction farther. Follow me.” He led me to his basement door, and I followed him down a set of stairs to his personal book collection. I came down the stairs to see shelf after wooden shelf after wooden shelf of paperbacks, each one lovingly bagged in plastic. He waved a hand at one bookshelf set off to the side. “Here’s my duplicate SF.” With that, he started pulling titles out and handing them to me. H.G. Wells’War of the Worlds, Robert Heinlein’s Starship Troopers, and three other books. 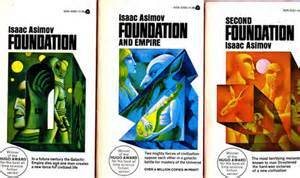 “This is Isaac Asimov’s Foundation Trilogy. It’s pretty famous, you should check it out.” I stared at the odd covers as he added Bradbury’s Fahrenheit 451—I’d heard of that, as well as the Martian Chronicles. I walked out with a grocery bag full of books. Dedicated to Lou “Uncle Mick” Blanchard. One day, Uncle Mick told my middleschool-aged self that it was time I moved beyond Star Trek and Star Wars. He sent me home with a bagful of books by H.G. 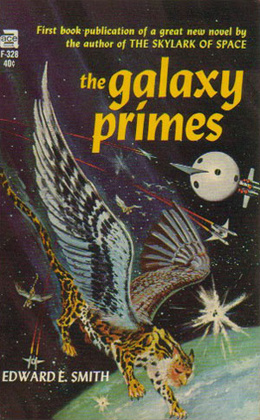 Wells, Andre Norton, Isaac Asimov, and many more. From that day forward, media novels became a small part of a much larger landscape. My Aunt Dolly passed away a few years ago, but Uncle Mick still putters around in his home in a state of busy retirement. I sent him a copy of the book a few weeks ago. He helped open this boy’s eyes to the larger world of SF literature and showed me how important it is to pass these ideas forward. Commanding the Red Lotus is my first humble contribution to the genre I love, but it will not be the last. Wow. Thank you for reminding me of those favorite series and novels. I still have lots of those books, shared favorites with my husband, still in their old original paperback covers on our shelves. In fact, we still have occasional duplicates from when we combined our libraries. About the author: Best known for his ghost story thrillers, Commanding the Red Lotus is R.J.Sullivan’s fifth book and his first release in the genre he most adores. R.J.’s critically acclaimed, loosely connected ghost story trilogy and his short story collection are all available in paperback and ebook though Seventh Star Press. R.J. resides with his family in Heartland Crossing, Indiana. He drinks regularly from a Little Mermaid coffee mug and is man enough to admit it.